Notice requirements set a deadline for reporting an injury or other claim. 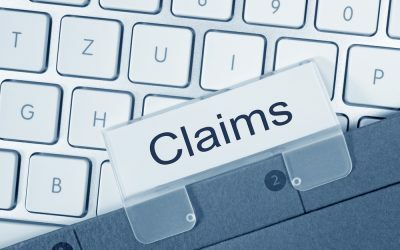 If you do not report the claim by the deadline, you cannot bring a lawsuit over it. Statutes of limitations are state or federal laws that say how long you have to file a lawsuit. For example, in Georgia, some types of personal injury claims (but not all) have up to two years to file in court. Notice of requirement can be set by state, federal or local law, or even by a contract you signed, like a car insurance policy. They say how long you have to report that you were injured—whether you’re filing a lawsuit or not. In other words, notice of requirement simply means you have to tell someone if you have an injury or loss that they’re responsible for (such as notifying your insurance company that you had an accident). If you don’t even notify them that you suffered an injury, you cannot later file a claim about it. It’s important to understand that both deadlines apply to your claim. For example, if you are well within the statute of limitations but you failed to give notice before the required time period, you do not have a claim—you won’t be allowed to file it in court in most cases. Notice requirements tend to have much shorter deadlines than statutes of limitations. They’re also much easier to miss, because many injured people don’t even realize they’re under deadline. How long are notice requirements in Georgia? The exact length of time you have to give notice depends on the type of case. Additionally, every local municipality has the right to set its own notice requirements, so they can be very short. Car accident claims have notice requirements set by the insurer itself. These can be as little as 24 hours. In other words, you need to notify your insurance company immediately. Slip and fall claims may have up to 30 days to give notice in some cases. Remember, this can vary locally. Claims against the government (such as being injured while on government property) face special requirement rules known as ante litem (“before litigation”) requirements. These may give you a shorter than normal timeline, and also give the government a chance to respond before you sue. The best thing to do after any injury is to speak to a lawyer immediately. Because legal deadlines are complicated, you should get a professional opinion as early as possible. Your lawyer will know the deadline and can file the right kind of notice for you.